Asserting that the government of India left no stone unturned in trying to arrest liquor baron Vijay Mallya, the Bharatiya Janata Party (BJP) on Wednesday said it was committed from day one in the matter. "I think this is all in the media. But I will wait for the MEA to come out with the report, with the confirmation that he has indeed been arrested. The government of India was committed from day one that Mr. Mallya should be arrested. If he has been arrested in London then you must give credit to the government of India," BJP leader Zafar Islam told ANI. Echoing similar views, another BJP leader Sudesh Verma said the government has already clarified that it is not going to leave any stone unturned to get Mallya extradited and face prosecution in Indian courts. "Nobody who is involved in the case would be spared. We should wait and watch," he added. In a major development for the Indian Government, Mallya, who is facing money laundering charges, was arrested by the Scotland Yard in London yesterday. Mallya, who was finally caught after repeatedly refusing to appear before courts and investigators in India since he secretly fled to Britain last March, is set to be produced before the Westminster Magistrates' court soon. 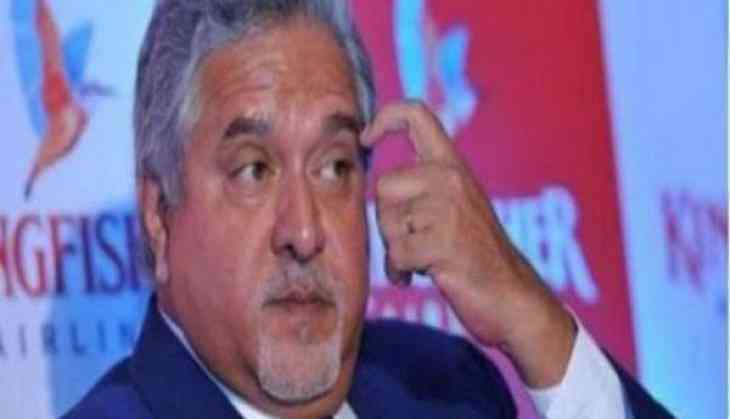 This comes after a Delhi court has issued an open-ended non-bailable warrant against Mallya in connection with the 1995 FERA violation case. Last month, the Ministry of External Affairs (MEA) informed that extradition of absconding liquor baron Vijay Mallya has been stratified by Secretary of State of the U.K. Government and soon a warrant would be released against him. "Somewhere in the month in the month of February, the home office of the U.K. Government conveyed that India's request for extradition of Mallya has been stratified by Secretary of State and sent to Westminster Magistrate court for a district judge consider issue of releasing of warrant," MEA official spokesperson Gopal Bagley told the media. In March, the Supreme Court fast-tracked the proceedings against Mallya and reserved its order on contempt proceedings against him for allegedly diverting $40 million to his children's accounts in foreign banks in violation of court orders. A bench of Justices A.K. Goel and U.U. Lalit reserved its order on whether or not Mallya was guilty of contempt and what action should be taken to bring back the money. The court concluded the proceedings after a three-and-a-half-hour hearing during which the Centre contended that Mallya was mocking the Indian system after fleeing the country. It said the government was holding talks with U.K. authorities to get him deported. The apex court had started proceedings against Mallya a year ago and had issued a notice to him on March 8, 2016, on a plea by a consortium of banks led by the State Bank of India (SBI) for recovery of about Rs. 9,000 crore which the businessman and his companies owed to them. The liquor baron, however, fled the country days before the apex court took up the case against him. Attorney General Mukul Rohatgi urged the court to direct Mallya to bring back the $40 million which he had received from Diageo. He told the bench that Mallya had breached court orders and his refusal to bring back the money had aggravated the breach and he should be directed to appear personally before the court.